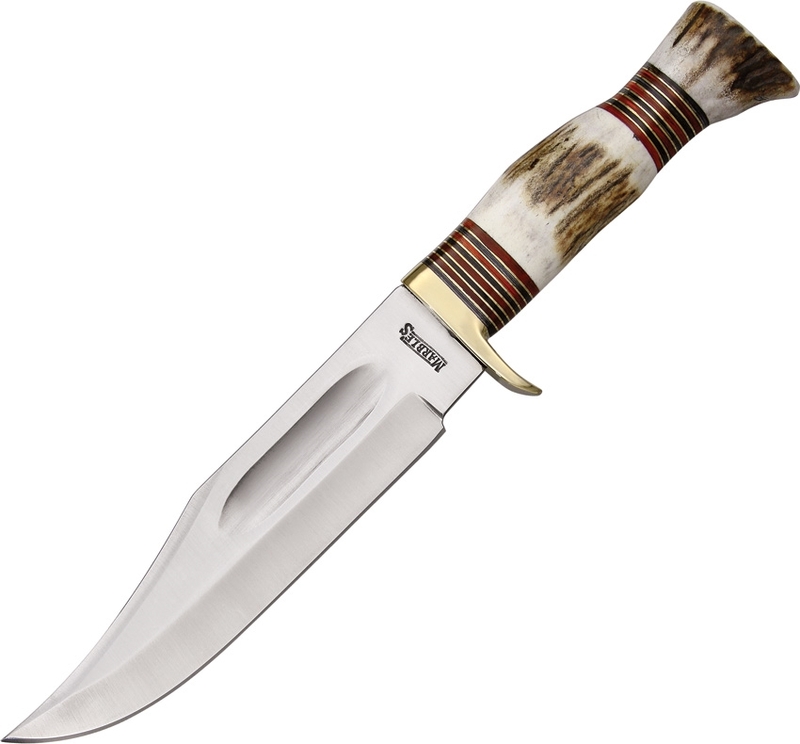 Marbles MR820 Ideal Bowie Stag Knife. 12 3/4" overall. 7 1/2" stainless upswept bowie blade. Round design genuine stag handle with brass finger guard. Tan leather belt sheath.